Boys & Girls Club: Texas Hold'em Poker Tournament - Yo! Venice! 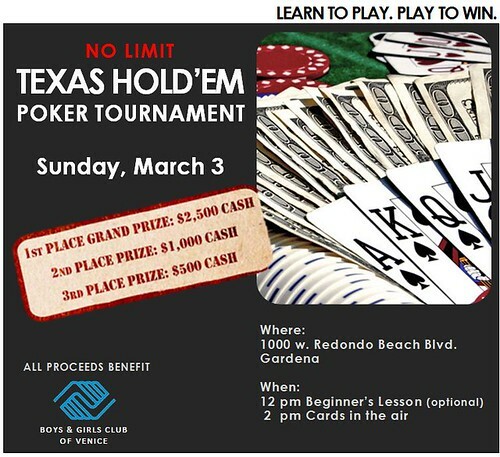 The Boys & Girls Club of Venice will host their 3rd annual “No Limit Texas Hold’em Poker Tournament” on Sunday, March 3rd, from 2-4:00 PM in Gardena! All proceeds from the event benefit the Boys & Girls Club of Venice! Click here for more information and to register!